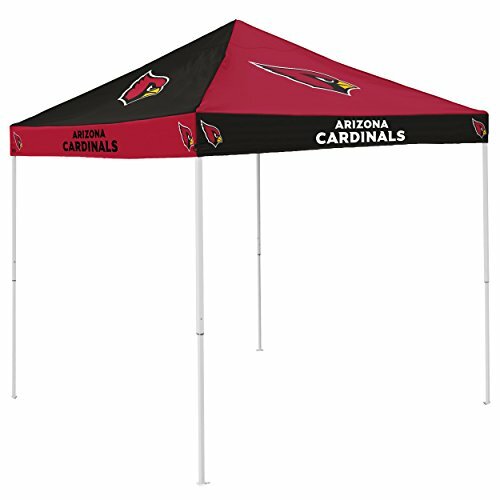 These large 9’x9’ tents have a durable water resistant canopy made of 420 denier polyester with school logos on all four sides. 6 ft. Height clearance and stands 9ft tall at tallest point. Tents retract to 4 ft. For easy moving and storage. Includes ground stakes for extra stability. Checkerboard tent has Alternating color canopies and valances.